New Zealand Prime Minister Jacinda Ardern has flagged immediate changes to the country’s gun laws in the wake of shootings at two mosques in Christchurch where 49 people were killed. Speaking at a press conference on Saturday morning, Ms Ardern said the Australian man suspected of carrying out the terrorist act had used five firearms in the attacks, including two semi-automatic weapons, two shotguns and a lever-action firearm. She said he had been in possession of a “category A” gun licence, obtained during 2017, which allowed him to legally obtain the weapons in December 2017 and that he was not on any watchlists prior to the attacks. “While work has been done as to the chain of events that led to both the holding of this gun licence and the possession of these weapons, I can tell you one thing right now, our gun laws will change,” she said. Ms Ardern said a 28-year-old Australian man is due to appear in court this morning charged with murder. She said he had based himself in the city of Dunedin prior to the attack. 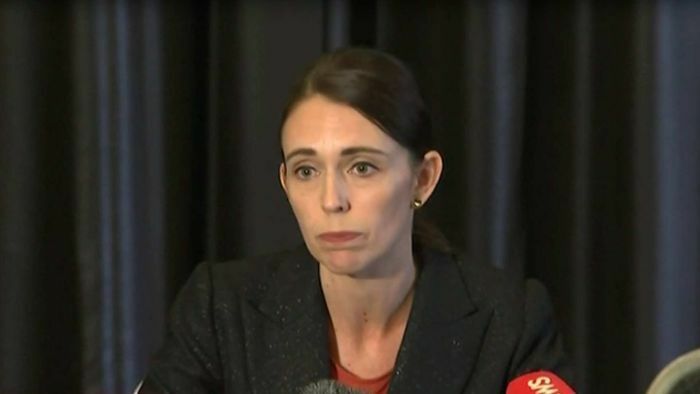 Ms Ardern said a fourth person who had been arrested while in possession of a firearm on Friday had been released, as they were a member of the public wanting to help authorities. She confirmed two of the 40 people who were being treated for injuries at the Christchurch Hospital were in a critical condition, while a five-year-old child had been transported to Starship Hospital in Auckland. “I am advised that the hospital is well-equipped and coping well,” she said. “There are available beds and seven acute theatres for those in need.